Fran Berman's Ginger and Lentil Soup is a flavorful soup perfect for all year round. Put the lentils in a colander. Rinse thoroughly under cool running water. In a 6-to-8-quart or larger heavy pot, warm the olive oil over medium heat. Add the onion, garlic and ginger and saute until transparent. Add 2/3 cup water and the diced carrots and simmer a for minute. Stir in the lentils, then add the stock and remaining 3 cups of water. Partially cover. 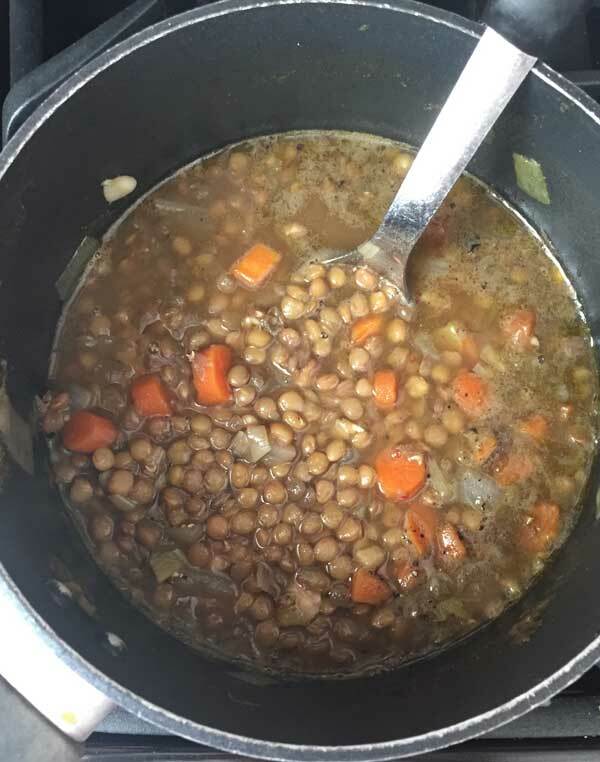 Simmer over a low flame, stirring often, 30-40 minutes, until the lentils are tender. Remove from heat and cool briefly. Stir in salt, pepper and balsamic vinegar to taste. Over the years I've reduced the water somewhat.